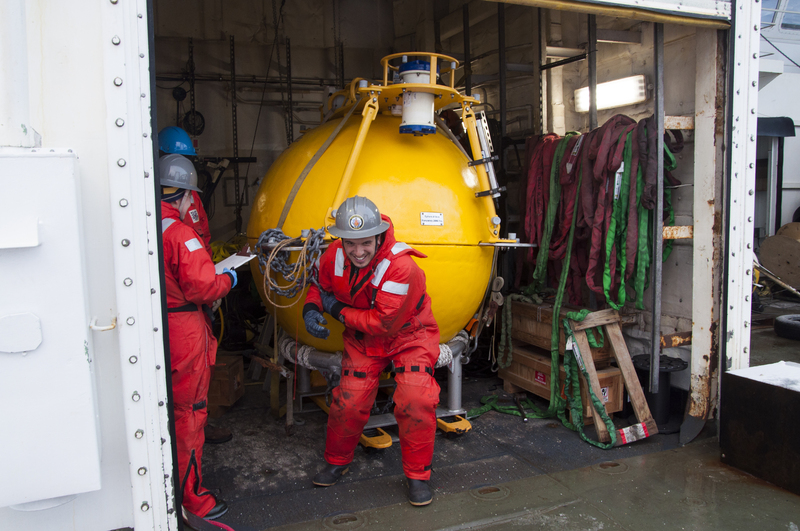 EAPS oceanographers investigate biogeochemical processes and ocean structures in Arctic seas. In the fall, EAPS oceanographers Jessica Dabrowski, Astrid Pacini, Mukund Gupta and Gianluca Meneghello participated in a month-long research cruise around Alaska aboard the U.S. Coast Guard icebreaker Healy. The NSF-funded Arctic Observing Network cruise enabled the researchers to observe various aspects of ocean biogeochemistry and dynamics. The ship, stretching 420 feet and weighing 16,000 tons, departed from Dutch Harbor, Alaska at the end of October 2018. During their journey, the ship broke ice while exploring the Chukchi and Beaufort Seas. The scientific goal of the mission, which was led by senior scientist Robert Pickart of Woods Hole Oceanographic Institution (WHOI), was to understand the currents and general circulation in the region, as they have important effects on the area’s geology, chemistry, and biology. Over the course of the cruise, scientific moorings were serviced and direct measurements of the ocean were taken. Focuses of the 23 members of the scientific party included managing the hydrographic measurements (temperature, salinity, density), as well as looking at the ocean’s small-scale motions, chlorophyll, radium, and characteristics of harmful algal blooms. Pacini, Meneghello, Dabrowski and Mukund each had their own role to play on the science cruise to make it a successful one. Astrid Pacini is an EAPS-affiliated graduate student in the MIT-WHOI Joint Program. 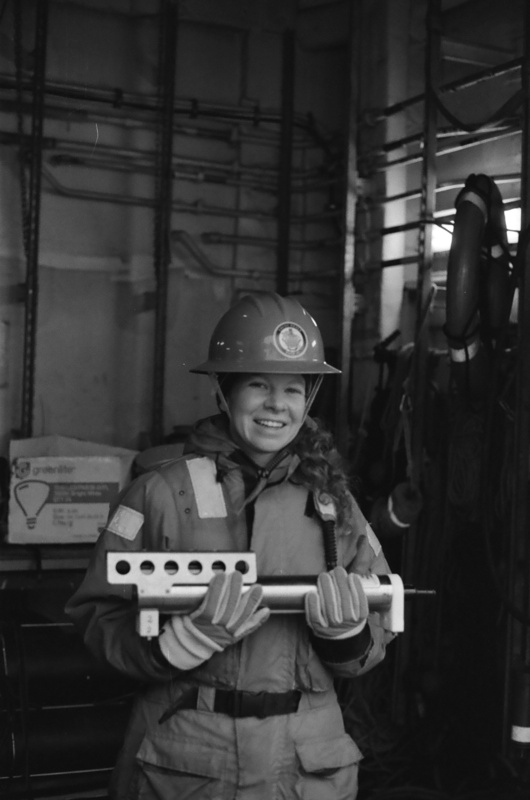 Her main research focuses on the Labrador Sea and the boundary current that circumnavigates it. However, she also works on water mass dynamics in the Chukchi Sea. Pacini’s advisor, Bob Pickart, was the chief scientist on this cruise, and she sailed as lead in recording hydrographic data. 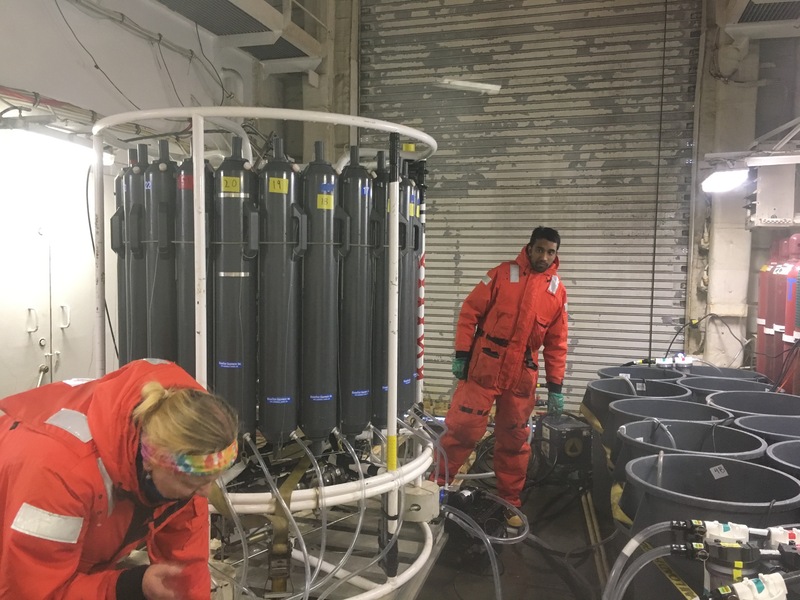 The group serviced scientific moorings on the Beaufort slope (located north of Alaska in the Arctic) and performed a high-resolution hydrographic survey of the region in order to understand the vertical structure of temperature, salinity, and density in the water column. Gianluca Meneghello is an EAPS research scientist, studying the dynamics of the ocean and the atmosphere. His current work focuses on identifying a simple model to analyze the role of eddies in the Beaufort Gyre’s response to wind and buoyancy forcing. He previously worked on the development of autonomous observational platforms for environmental flows, on control/data assimilation algorithms, and on numerical methods for fluid mechanics. Some of his recent research has included identifying a key mechanism that controls how fast the Beaufort Gyre spins and how much fresh water it stores in the summer when Arctic ice melts. The Beaufort Gyre is a central component of Arctic circulation, and cold, fresh water converges at the center of the gyre. The strength of the gyre has important implications both within and outside the Arctic Ocean: the accumulation of the cold, low salinity water insulates the Arctic ice from the warm deep currents of Atlantic origin, while its release generates salinity anomalies influencing the North Atlantic Ocean circulation on a decadal time scale. Jessica Dabrowski is an EAPS-affiliated graduate student in the MIT-WHOI Joint Program, currently studying coastal ocean and lake processes in the Arctic. Dabrowski uses radium isotopes as a tool to study these processes, which have implications for climate change and the changing chemistry of the Arctic Ocean. 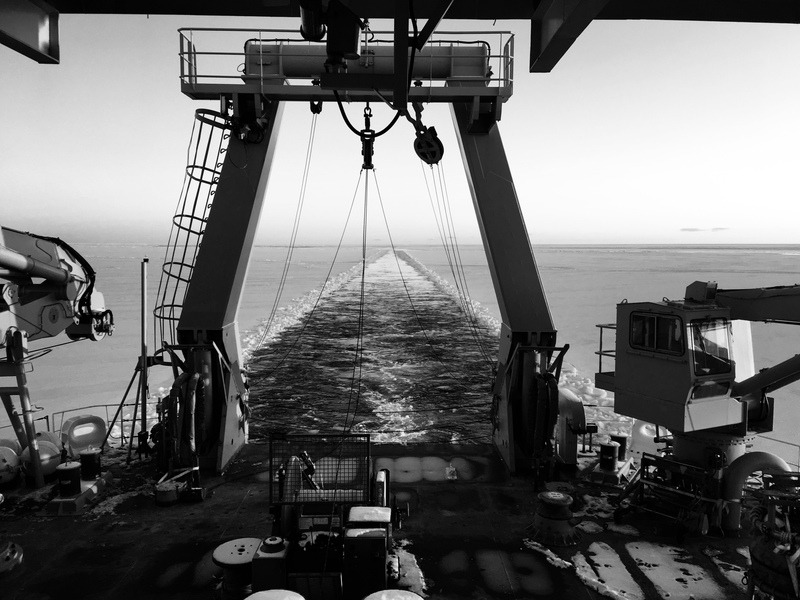 On this cruise, Dabrowski studied processes on the shelf in the Beaufort and Chukchi Seas that affect sediment-water exchange in the late fall and winter. These processes include winter-water formation (ice freezing and causing water column mixing), wind-driven upwelling and downwelling, and eddies. Sediment-water interaction is important because it brings nutrients, trace metals and carbon from the sediments into the water column that can support life in the shelf-dominated Arctic Ocean. Here, she used radium isotopes as a tracer of sediment-water exchange and transport of shelf waters. The data from this cruise will likely be a large portion of my PhD dissertation. The collaboration with biological and physical oceanographers will support my future career in oceanography as a well-rounded scientist. Mukund Gupta is an EAPS graduate student, who works on modelling the ocean and ice dynamics in the Southern Ocean. He is particularly interested in understanding the difference between ocean dynamics today and those during an ice age. Despite not being directly related to his work, Gupta wanted to participate in a research cruise and volunteered to assist Dabrowski with her radium sampling. He helped her collect and filter large samples of water for the element. The data obtained will help scientists understand more about the dynamics and biology of the region.